The initial agreement between the Council and the Midsomer Norton Allotment Association commenced on the 1st October 2012 until 30th September 2017. There are approximately 70 plots of varying sizes. The allotment holders committee manage the day to day running of the allotments. This opens up the opportunity for the Association to apply for funding from other bodies to for example bulk-buy seed and plants etc. and to facilitate social events. The Association manages the waiting list and allocates plots as available. The Association undertakes to manage the allotment gardens and paths between them, to maintain the code of conduct for allotment holders and decide on any necessary transfer to new tenants. The financial year ends 30 September. In return for the reduction in officer time spent managing the allotments, the invoice to the Association from the Council will amount to a sum that leaves the Association £500 a year. 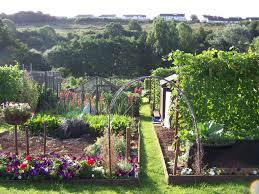 Only those who live within the Midsomer Norton area are entitled to an allotment. Westfield and Radstock have their own allotment allocations. The Association has been upgraded by the secretary, Brian Snellgrove. He founded and ran a large social organisation in London, London Village, which at its peak and the membership of 3,500. 200 events were organised each month mainly by the members and publicised in a bulletin. Brian brings this expertise to bear on this group and has constructed a website and produces a monthly bulletin e-mails to members. Brian works part-time as a landscape gardener with his wife Françoise here in Midsomer Norton, and spends a lot of time recording books for the Blind for a national organisation, Calibre Audio Library.